Religious sites such as churches, temples, mosques and synagogues might be places to worship but they’re appealing places to be a tourist too. Whether you’re primarily interested in history, architecture, culture or religion/spirituality, there are plenty of experiences to have visiting Sydney’s worship spots. Here are four Sydney worship sites – some super close to Song Hotel – that are great showcases of how religious culture/belief has shaped the city. 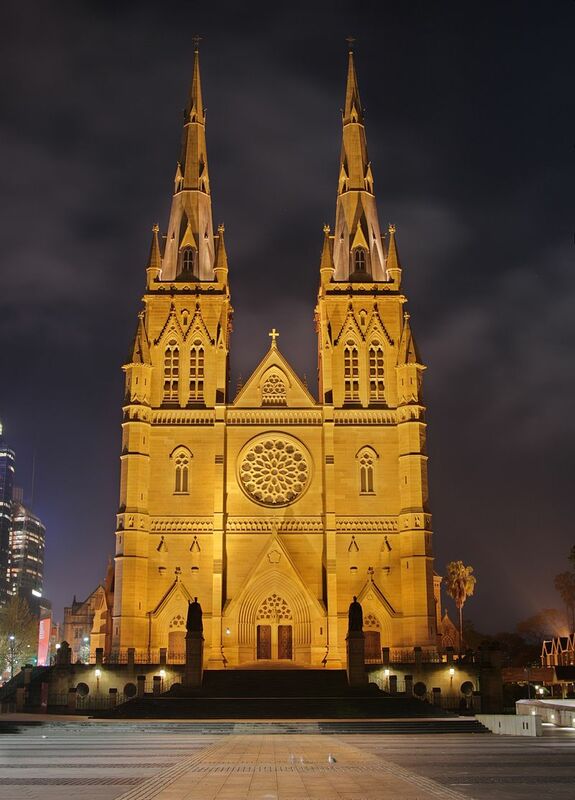 St Mary’s Cathedral is an obvious starting point to immerse yourself in the full flavour of Christianity. The spiritual home of Sydney’s Catholic community is situated on the site of the first Catholic Chapel in Australia and it seats the Archbishop of Sydney. The church is a 75 metre-tall monument of honeyed sandstone fashioned in the style of Gothic revival architecture. It attracts 3000 visitors and tourists on a daily basis and its location opposite Hyde Park makes it a handy destination if you’re staying at Song Hotel. Entry into the Cathedral is free (however donations for the church’s upkeep are much appreciated) and the church welcomes the public through guided tours that showcase must-sees such as the Crypt and its signature terrazzo floor. The Great Synagogue is the oldest surviving synagogue of all those presently operating in NSW. Public tours – available weekly for a small fee – pit you with volunteers who ply their specialised knowledge to talk about different characteristics of the synagogue and general aspects of Jewish life and history. The grandiose architecture, religious artefacts and Hebrew documents are all part of the appeal of touring this iconic site too. 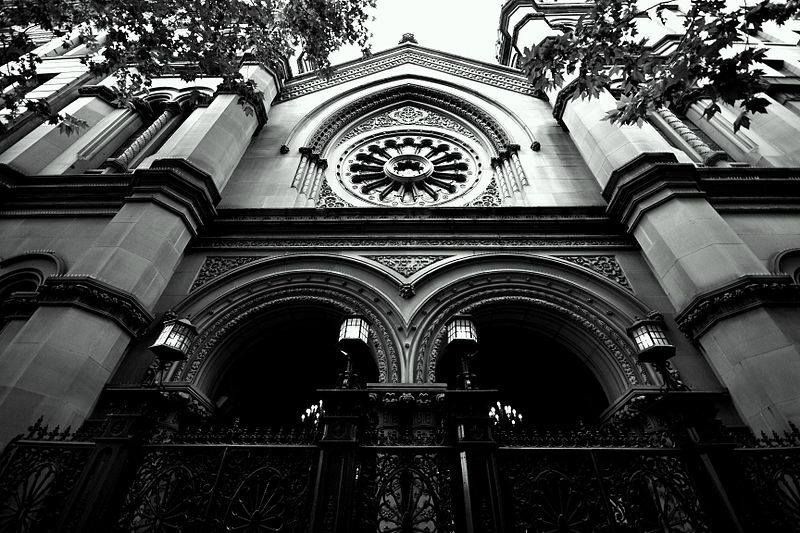 The Great Synagogue has been the centre of Jewish group worship and culture in central Sydney since its origins in the 19th century. 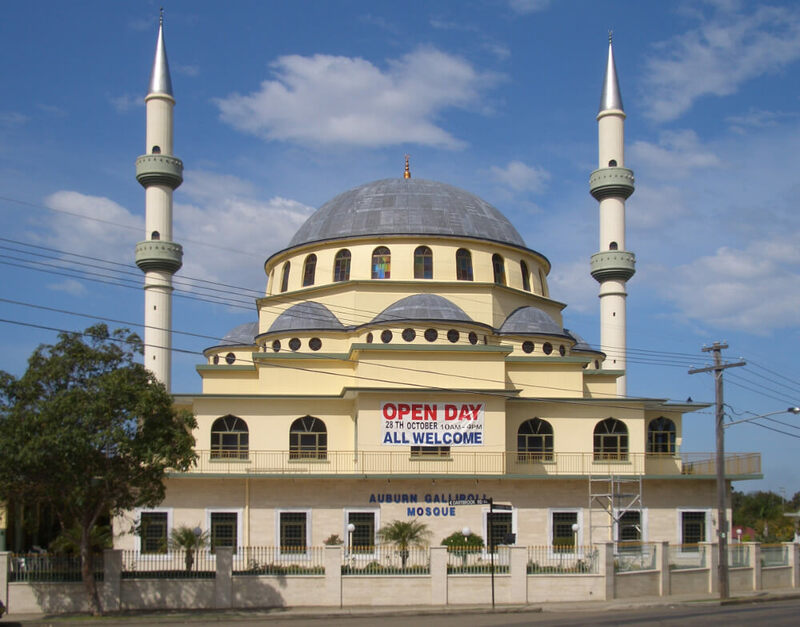 Auburn Gallipoli Mosque’s volunteer-led tours are a plum way to learn about the Islamic faith. You’ll get to listen to guides who have special knowledge of the history of the mosque, the community that revolves around it and Islam’s five tenets. Construction on the mosque, a prized exemplar of traditional Ottoman architecture, started in 1986 and finished in 1999. Most of the materials are imported from Turkey or designed by Turkish artisans and the worship space largely owes to funding generated by the local Turkish community. The mosque is reached far with a large central dome flanked by eight smaller domes and two minarets, windows glazed with coloured glass, chandeliers inside and light pools that create a tranquil atmosphere perfect for ritual and worship. The Mosque attracts large numbers of worshippers every week and thrives as a hub of linguistic education, community and cultural activities for Sydney’s Islamic faithful. This quiet Buddhist temple is dedicated to Kwan Yu, an ancient warrior whose significant role in a number of third-century Chinese battles saw him immortalised into the god Kwan Ti, a symbol of integrity and loyalty. 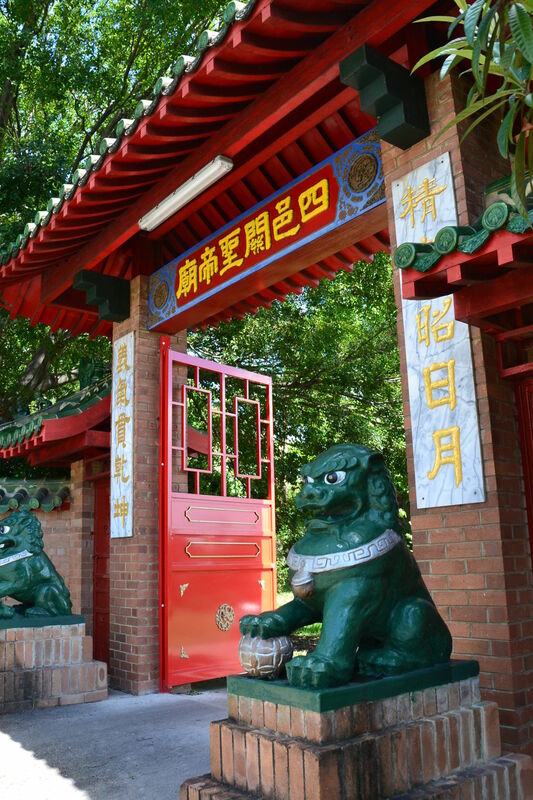 Sze Yup Temple has been a sacred destination for the Chinese community since it was built in a quiet quarter of Glebe in 1898 – and reconstructed in 1955 following a fire. Odds are you’ll find it hard to miss the temple’s distinct aura as you encounter the two stone lions that guard its archway, the central temple of red brick (echoing village temples in southern Chinese provinces), the embroidered images of Kwan Ti at the altar and engraved couplets and prayers that dot the wall by an imposing drum and gong. The temple, one of just two places of worship for NSW’s ethnic Chinese that precedes the 1960s, is a hotspot of peace and tranquility. You can take extra heart in knowing it’s recognised for giving good luck too.